Who is Mona Vanderwaal working for on ‘The Perfectionists’? Mona's role on 'The Perfectionists' has finally be revealed... but what is she doing? 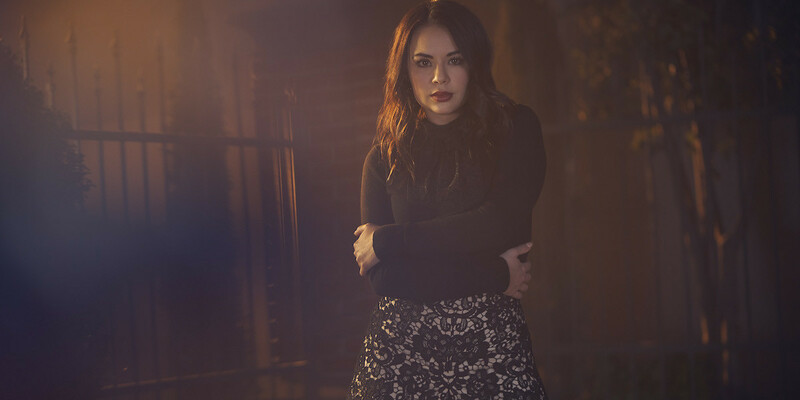 The dynamic Perfectionists season 1 premiere, plus an awful murder in Beacon Heights, wrapped with the revelation that Mona Vanderwaal, the original -A, is working with someone who is keeping watch on the town of Beacon Heights. 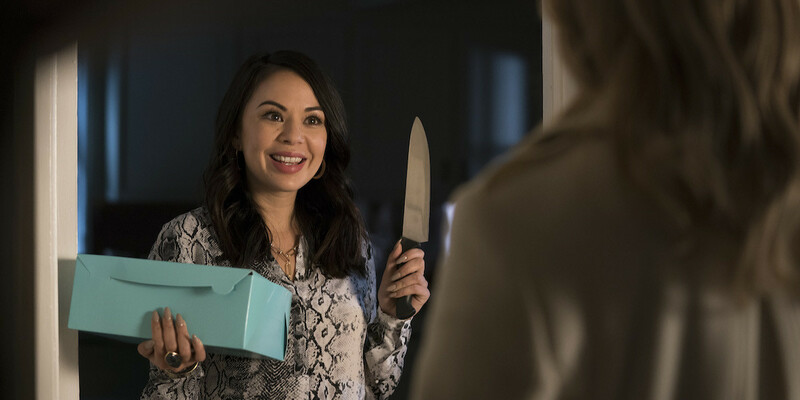 Perhaps the biggest surprise of The Perfectionists series premiere was Mona Vanderwaal’s final moment of the episode. Looking into the mirror, exclaiming, “Was this our fault?” and the tease that Mona is working with an entire organization to use her sleuthing skills was entirely unexpected, yet it fits. This is the least believable option (and I definitely don’t think the writers will go down this path, but just in case they do), maybe Mona is working for the FBI to go undercover and keep watch on Beacon Heights, particularly the university. Mona certainly has the skills to be an undercover operative in the field; she pretended for years to be Mona who hid her own personality and equipped a facade to get her through high school after Alison’s disappearance. Mona lied straight to Hanna’s face for even more years. Given that Mona’s reasons for being in Paris “escaped her,” it’s entirely possible that Alex and Mary Drake ratted Mona out to the police in France for kidnapping them, setting off a series of events that ended with Mona being planted in Beacon Heights as an informant for the FBI. It didn’t seem like the organization Mona was working for was in a government facility, at least from the brief moment we saw their offices, though anything is still possible. Though this explanation doesn’t include the organization that was in Mona’s ear, it could explain why Mona seemed to know who Taylor is and what type of person she is, even though she told Alison it was just from “reading up on her.” That line can’t be a coincidence, especially considering everything Mona has done in her life. Knowing Taylor is still alive, who is also trying to put a stop to whatever shady thing is happening in Beacon Heights, would be exactly like the Mona Vanderwaal we know and love from her time in Rosewood. Now that it’s finally out in the open that Mona is playing a huge role in this season, the previews can stop only showing Mona with pie and equating her character’s personality in this series with pie, so that’s something… right? Whoever Mona is working with, it doesn’t really matter as long as her character stays true to who she is. I believe that Mona truly came to Beacon Heights for a fresh start because she could never escape her past in Rosewood and France was tainted by her defeat, and this fresh start could be a chance for Mona and Alison to put their past aside and become true friends. The bitchiness and petty behavior that Mona and Alison exude when they’re together can be entertaining to watch, but these women have been through more than anyone else should go through in their short lives. Both have been presumed dead — at the hands of Charlotte DiLaurentis — and they have both been on the good and bad sides of the original liars. Mona and Alison may never be who they want to be in Rosewood because of the grudge a relatively small town can hold against someone, but perhaps they can come together and save Beacon Heights from becoming the cesspool that Rosewood did. Perhaps they can be the saviors of this town. Pretty Little Liars: The Perfectionists continues Wednesday at 8 p.m. ET on Freeform!